Even if we sometimes do forget that our elected governmental representatives are seated in Berlin, they do need to remember that we no longer accept the way our personal data is being dealt with. That is why we introduced our Free Your Data campaign to politicians and representatives of key institutions, in order for them to understand our view on a digital future that is determined by us. As you can see, our opinions were always welcomed with open arms and simultaneously we explored the government district. We have, unfortunately, not yet made it to Angela Merkel’s chancellor’s office, but we will not rest until our data transparency law is on the chancellor’s desk. Another important stop during our time at the government district in Berlin was the ‘Digitale Gesellschaft’. This association located in the capital was founded in 2010 and includes numerous notable internet experts within its ranks. For example, Markus Beckedahl, who’s petition we already reported on before. The ‘Digitale Gesellschaft’ is an independent non-partisan campaign orientated initiative that focuses on human rights and consumer-friendly network policies. Konstantin von Notz is the spokesman for internet policy of the green party Bündnis 90/Die Grünen. We paid him a visit at his office in the government district to introduce our Free Your Data campaign. He sees the process of effectively protecting the digital rights of citizens and consumers as a key issue for the communal life and economy of the 21st century. His political focal points lie in domestic, legal and internet policy and, therefore, he is also the Vice Chairman and coordinator of these in the green party. Additionally, Von Notz is Chairman of the NSA-investigation and ‘Digital Agenda’ committee within the green party. 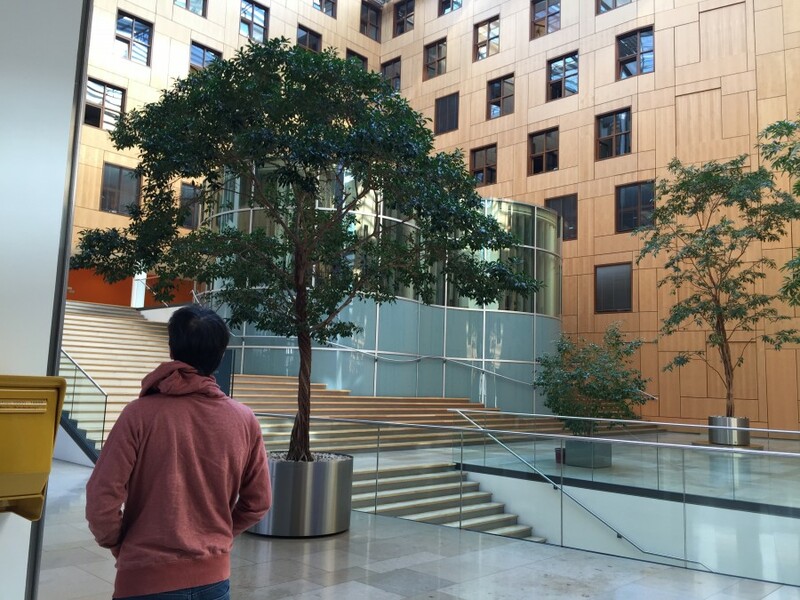 We visited Thomas Jarzombek in the Jakob-Kaiser-Haus where the majority of the CDU-faction is located. Thomas is the spokesman for the ‘Digital Agenda’ of the CDU/CSU parliamentary faction, and has been the Chairman of that group for over a year now. With this ‘Digital Agenda’ committee the German Bundestag has its first formal parliamentary body that is dedicated to current internet affairs. Here important actions are taken for the digital transformation. We are pleased that we were able to personally present our Free Your Data campaign to Thomas. Ali Jelveh in the Jakob Kaiser building, which is the largest parliament complex consisting of six buildings. There, he will shortly meet Konstantin von Notz and Thomas Jarzombek. Together with Jörn Pohl, who is the office manager of Konstantin von Notz, we went in the direction of the catacombs. 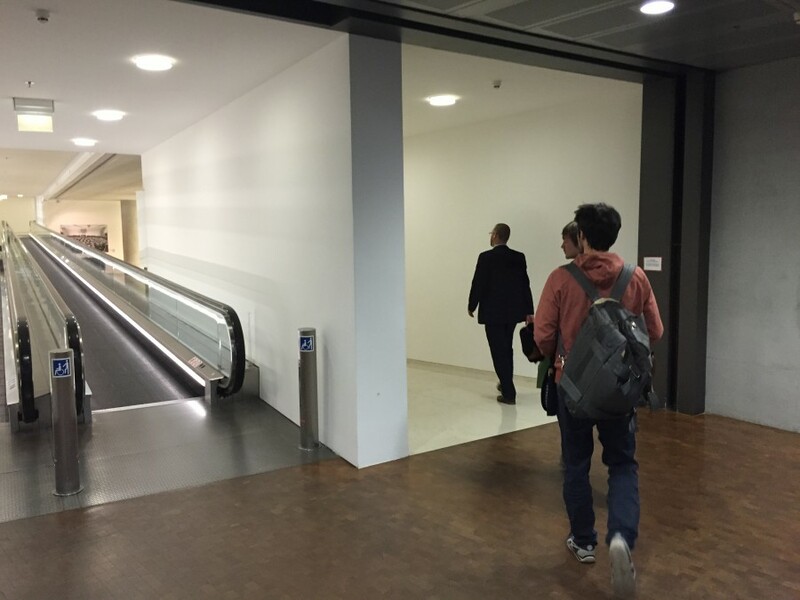 Underground passages that connect the Jakob Kaiser building with the Reichstag. 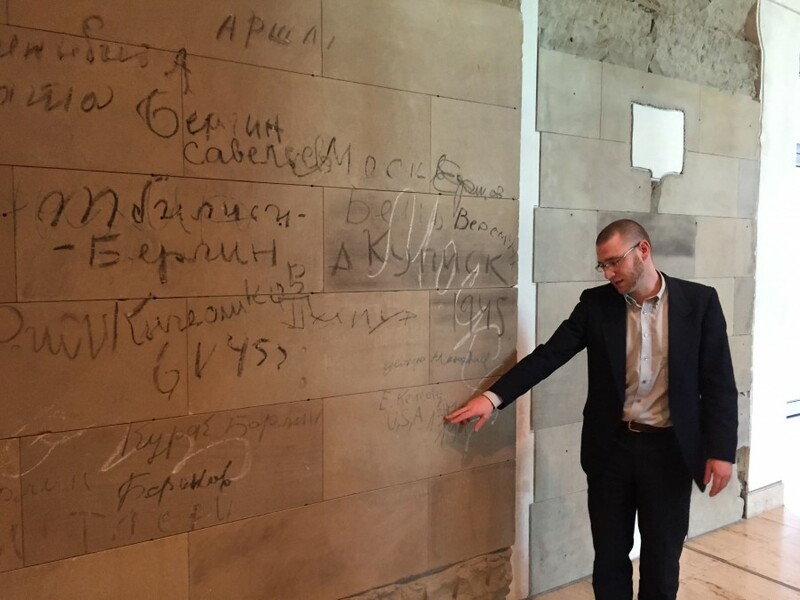 Here, Jörn Pohl shows us the relicts of the Soviet occupation period: walls full of Russian sketches. 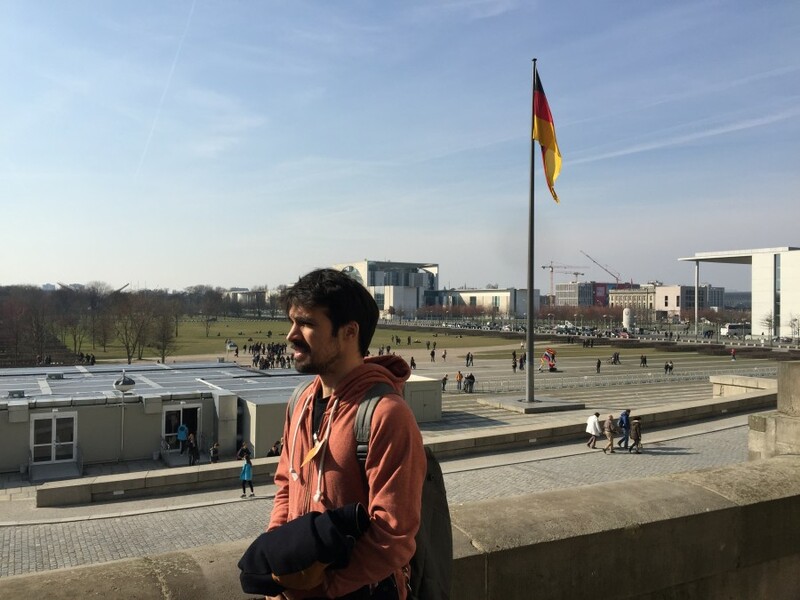 Ali on the balcony infront of the Reichstag in Berlin. Now we move along to change.org who are actively supporting our petition. 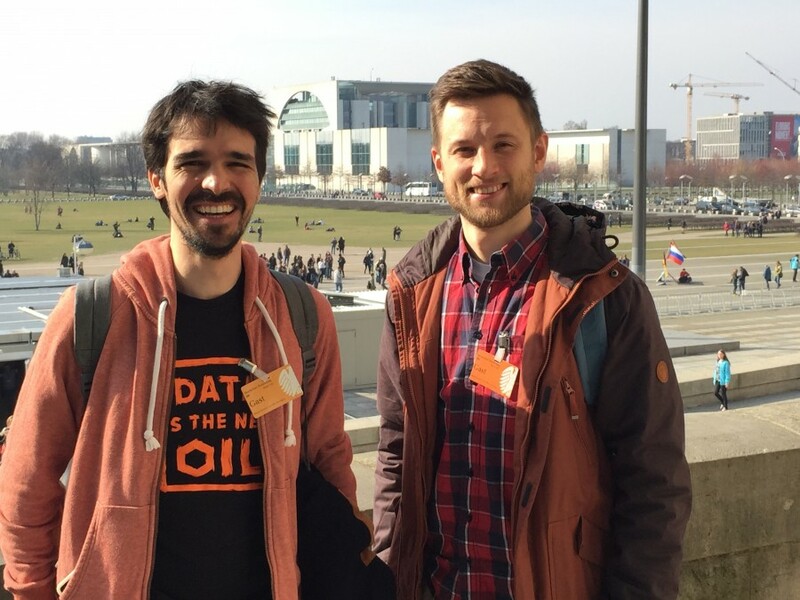 Together with Ali (left), his colleague from Protonet, Thomas Reimers, was travelling with him to Berlin to promote our Free Your Data campaign.